i am missing the polaroid 600 film a lot. i tried the impossible film, but it is impossible to use! the quality is not good enough for that prize. i tried a friends fuji instax and didn’t like the optic and the limited control. but i love my 4×5 and all the options. 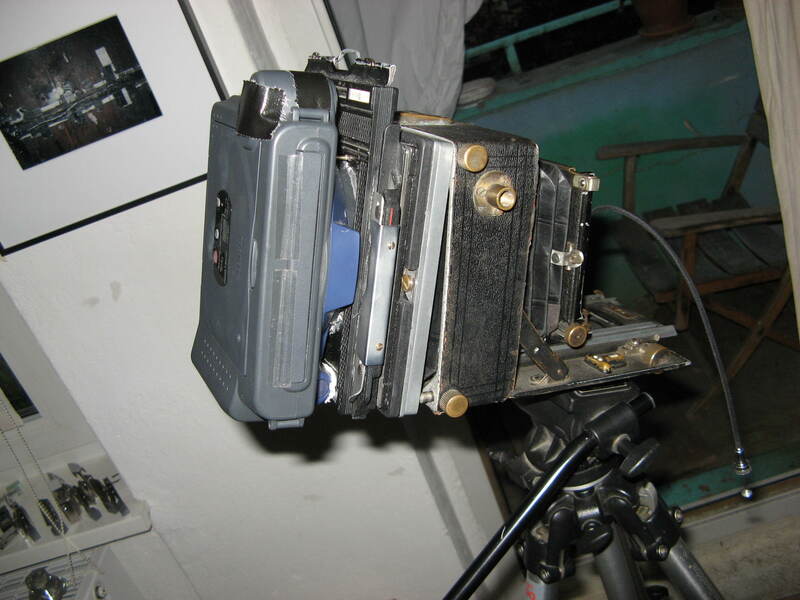 so why not make an instax-back for it. so i made one of an old instax and sheetfilm-holder. here it is ugly as hell but working. here are the first pictures made with it.